Following the recent crises that rocked the meat industry in Europe, BLOOM, Oceana, researchers from the French National Institute of Health and Medical Research (INSERM) and the National Museum of Natural History, and Terra Eco magazine teamed up to take on seafood traceability in France by conducting a unique investigation into fish labelling fraud. Over the course of one year, 10 regions were studied and nearly 400 samples were collected from supermarket shelves, fish markets, restaurants, ready-made meals and frozen food. While similar studies in various European Union countries revealed high levels of seafood fraud (32% overall in Italy, 30% of all hake in Spain, 19% of cod in Ireland), it turns out that species substitution in France remains low, at around 3.5% (the UK has a similarly low level of 6%). Not a single case of fraud was detected for species including Alaskan pollock, seabass, saithe, monkfish and whiting. Cod however, was substituted in 4.2% of cases (6 out of 143 samples) with haddock or hake, species of lesser commercial value. Fraud was extremely high in cases relating to the emblematic bluefin tuna. Four out of the five samples (80%) of bluefin tuna were revealed to be other species of tuna: albacore or bigeye, both of lesser commercial value. The level of deception reached 100% (16 out of 16 cases) when waiters were asked to provide species information: if the menu stated nothing more specific than « tuna », and the server responded to a request for clarification claiming it was bluefin, the answer was always incorrect. Of the 117 samples taken from frozen and prepared meals, none indicated any fraud occurred. 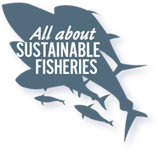 On the other hand, problems were found with fresh filleted fish: 8% of fresh fillets sold in fish markets, and 4% of those sold in the seafood aisle of supermarkets did not correspond to their labels. In restaurants, labelling fraud took place in 4% of cases. The genetic sequencing lab work was backed up by a field study led by Terra eco magazine, which allowed them to look into the seafood supply chain and understand where the fraud took place: which turned out to be mostly at the end of the chain: restaurant owners and fishmongers admitted on condition of anonymity to have replaced labels or changed species names. « We can sell frozen fish as fresh fish, or pouting as whiting… » claimed a retired fishmonger.